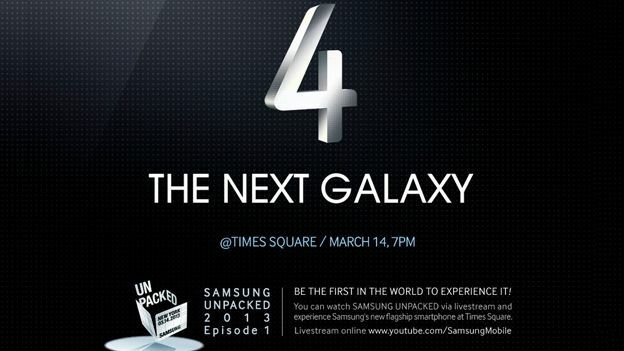 A leading mobile phone expert has told T3 that Samsung has a few surprises up its sleeve for the Galaxy S4 handset launch on March 14. Ramon Llamas, the lead mobile researcher at IDC says the Galaxy S4 launch will 'surprise and delight' the smartphone loving public, but this time it won't be down to the device's super-fast processor, screen size or the implementation of Android. Llamas, says the specs race is all-but-over and impressing the next generation of smartphone fans is all about what additional features manufacturers can bring to the table. Llamas predicts Samsung will integrate new software features that will make better use of the camera sensor, beyond taking pictures, and expects S-Voice to improve exponentially in the latest generation device. But in an era where every ounce of rumour and speculation is given credence, is it possible for mobile manufacturers to surprise us? Recent Apple launches have underwhelmed, perhaps due to the level of expectation and the publication of every possible eventuality. Can Samsung still wow attendees and fans at its big NYC reveal? It is under pressure to do so, Llamas says. “There's a very select few companies that you don't underestimate. Apple is one, Samsung is clearly another,” he added. “You don't have your own event for the sake of it. You're doing it to have that time all to yourself and get everyone's attention. How do you think Samsung can surprise us at the Unpacked event on March 14? Let us know in the comments section below. Meanwhile you can keep track of all the latest Galaxy S4 rumours and reports ahead of the launch right here.